Do you have full control of your inbound freight—even before the forwarder has been actually commissioned? Do you know the actual volumes on your individual supplier and plant routes? Do you also know the available service levels and forwarders for these volumes? Do you have streamlined processes in place for checking freight invoices or possibly even a self-billing invoice process for freight costs? Are you able to break down your freight costs and track them to individual materials? Do you know what materials are in which transport and the current location of each transport? Do you have all this in a single system? If you can really answer all these questions with “YES!” you don’t need to read any further. Sit back and bask in the knowledge that you are a true exception! Your company has excellent transport structures in place and a functioning link between material procurement and transport processes. If, on the other hand, you had to answer at least one of the questions with “unfortunately not,” you are in good company—company that includes Continental Automotive. My colleague Johanna Naumann and I have been supporting Continental Automotive with the rollout and definition of enhancements to their transport management system because this major company had determined it had room to improve in this area. Continental is already using the Transport Order Management System (TOMS) from SupplyOn in Europe, Asia and North American for land, air and sea freight. Both small and global suppliers and forwarders are integrated into the Continental TOMS network. Suppliers and forwarders receive and send messages via EDI and/or by WebEDI. For Continental Automotive, we adapted detailed processes and configured them to the individual needs of the receiving plants as necessary. The supplier generates forwarder pickup advice (FPA) data and sends them to the transport management (TMS) system. The TMS consolidates individual transport orders into loads and commissions the selected forwarder. Continental sends delivery instructions to their suppliers. The suppliers generate FPAs. The input required from suppliers is reduced to a minimum. Almost all the required information is preallocated by the system. The TMS consolidates the individual transport orders (on the basis of the FPAs) into loads and identifies the lowest-priced forwarder and service level. The system consolidates and selects the lowest-priced forwarder and service level fully automatically. Continental does, however, have the option to manually override the process. The TMS releases the loads to the selected forwarder. The selected forwarder transports the materials and returns status reports to the TMS. Following delivery, the TMS calculates costs. Suppliers generate FPAs following standardized processes—regardless of what customer will receive the delivery and regardless of which forwarder is commissioned. This drastically reduces the variety of processes suppliers have to grapple with. All data are documented within one system. Searches in multiple systems and e-mails in the event of queries become a thing of the past. Forwarders receive transport commissioning data in a standardized form. The manual processing of e-mails, faxes or, in some cases, erroneous or incomplete entries in forwarders’ own portals also becomes a thing of the past. All commissions are documented in one system and form the basis for billing the customer. Continental obtains full control of the commissioning and processing of inbound transports. The transports are automatically commissioned from TOMS and follow the rules defined by Continental. All transports are centrally documented, and the documentation serves as the basis for centrally and easily available transport statistics. 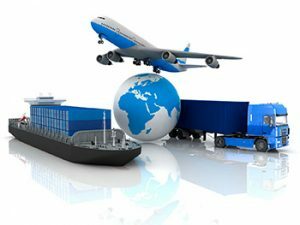 Costs are calculated for all transports in accordance with Continental tariffs. These calculations are used for credit notes or for invoice checking, which is both greatly simplified and very detailed. We are not saying that your company is the same as Continental, but you may see some parallels to the challenges your company is facing. We would be pleased to have the opportunity to discuss the solutions we can offer you to meet these challenges.